As I wrote last week, there are a number of troubling facets of the New Apostolic Reformation [NAR] that cry out for media attention. The NAR is the significant, yet relatively little-known religious movement embraced by many prominent endorsers of Texas Governor Rick Perry’s upcoming prayer event, “The Response”. It represents a major break with the Religious Right of the past: it’s not about issues or even “values”. It’s about power, pure and simple. About taking over the world, a form of Christian dominionism, and as I described, they’ve even got a seven-point plan for doing so – the “Seven Mountains Mandate”. This week, I want to take a step back and write about the NAR in a much broader, historical context – the context of the past few centuries in which fundamentalism has emerged. To do so, I turn to Karen Armstrong’s remarkable 2000 book, The Battle For God, which provided profound insight into the nature of fundamentalism by deeply examining specific examples from the Jewish, Christian and Muslim worlds. It may seem like a less gripping, less titillating story at first, but I promise you, it’s well worth hearing, and could even save your civilisation – or your life. “The mythos of a society provided people with a context that made sense of their day-to-day lives; it directed their attention to the eternal and the universal,” writes Arsmtrong. No one can doubt why this form of knowing held such profound importance. Logos, on the other hand, was “the rational, pragmatic, and scientific thought that enabled men and women to function well in the world”. It was equally vital for human existence, but in a more mundane, everyday way. We humans know practically nothing by instinct. Without the fruits of logos we should surely perish in short order. But it is only within the past few hundred years that logos has become transformed from a vast collection of different strands of specialised knowledge into a relatively integrated whole: our collective scientific knowledge of the world, whose totality provides, in its own way, the same sort of comprehensive story of “life, the universe and everything” that’s traditionally characteristic of mythos. With all the above in mind, I would argue that the NAR itself is not simply another form of fundamentalism, although many who come to it no doubt experience it that way – as a kind of supercharged version of the Pentecostal or Charismatic movements. However, careful reading and attention to critics makes it clear that it differs dramatically from Christian fundamentalism in one basic way: It does not simply try to assert that the Bible is a scientific text superior to all others, as creationist organisations such as “Answers In Genesis” does. Rather, the NAR has been sharply criticised by more traditional conservative Christians precisely because practitioners go beyond the Bible – a polite way of saying that when push comes to shove, they supersede or disregard it. “[E]xperience is elevated to a position of high authority when it is confirmed by consensus opinion and apparently positive results accordingly, it may supplant biblical truth,” wrote Bishop Michael Reid in his 2002 book, Strategic Level Spiritual Warfare: A Modern Mythology? Reid goes on to quote from Confronting the Powers, a book by the NAR’s intellectual godfather, C Peter Wagner, in which Wagner admits: “I am not claiming biblical proof for the validity of strategic-level spiritual warfare, spiritual mapping or identificational repentence,” [glossary here]. But he does argue there is “sufficient Biblical evidence to warrant … a working hypothesis that we can field test, evaluate, modify and refine”. Which is to say, Wagner is proposing a “scientific method” of developing extra-biblical demon-fighting practices, based on the claim that “the Bible doesn’t forbid it”. It should be clearly understood that dealing intuitively with the spirit world, gradually building up a body of experience on which to rely is precisely the practice of pagan “witchcraft”. It should be no surprise that this approach has proven immensely popular in places like Africa with a strong living tradition of understanding the world in terms of competing spirits and demons. Even while pretending to fight against pagan belief systems, the NAR itself is actually deeply embedded within them – much as fundamentalists are deeply embedded in logos, while utterly convincing themselves they are fighting against it to the death. There should be no doubt that the NAR is responding to an intensification of the same historical developments that Armstrong describes as giving birth to fundamentalism. But the de facto abandonment of the Bible (which, of course, they would never admit to) represents a much more radical response. This ultimately constitutes a difference in kind, which, for lack of a better term, we might call “post-fundamentalism”. This actually did not originate with the NAR, but has been bubbling up in different forms for quite some time now – as for example, in the “Latter Rain” movement of the early post-World War II era, which was condemned by the Assemblies of God in 1949, just as elements of the NAR were condemned in 2000. Another forerunner was known as “Moral Government Theory”, which taught that human free will limited God’s foreknowledge – a clear indication of how post-fundamentalists tend to subtly elbow God aside, the same way that they accuse secularists of doing. Critics have correctly noted that this amounts to a reassertion of the ancient Gnostic heresy. We can see the difference between fundamentalists and post-fundamentalists more clearly by means of a parallel: Just as fundamentalists try to argue they are more scientific than secular scientists by picking and choosing bits and pieces of scientific evidence out of context, as jumping-off points for their own pseudo-scientific speculations and “scientific” arguments, so, too, post-fundamentalists try to argue they are holier than the holy fundamentalists by picking and choosing bits and pieces of the Bible out of context, as jumping-off points for their own pseudo-biblical speculations and “spiritual” practices. Of course, a similar sort of argument can be made against violent “Jihadists”, such as members of al-Qaeda, whose terrorist attacks on 9/11 were extensively condemned as un-Islamic, even by quite conservative religious authorities. This is a further indication that we are seeing the results of a world-historical process, impacting different religious traditions in similar ways, as post-fundamentalism appears in different guises to address felt shortcomings, or failures of the fundamentalist project. Although beyond the compass of my summary above, Armstrong also argues that the logos-based forces of modernisation were highly disruptive and destructive of older ways of life, though she focuses much less on how this happens than on the results it produces in the realm of mythos. Another book that provides a more two-sided examination of this process – though in a much more compressed time-frame – is Benjamin Barber’s 1995 book, Jihad vs McWorld [Article that spawned the book here]. Somewhat similarly (though not identically) to Armstrong, Barber argues that the global modernising forces of technology and commerce (“McWorld”) are locked in a profound struggle against the backward-looking ethno-religious forces of religion and localised culture (“Jihad”). However, Barber also argues that both sides of this struggle also feed off of each other and gang up against a third alternative – the humanistic, secular democracy developed in modern, Western, democratic welfare states, which empower citizens to act collectively in multiple ways to negotiate and achieve shared ends that help create new forms of community and ways of living together. Barber has written extensively about “strong democracy”, a sustained participatory practice that both institutionalises and regularly recreates the sort of deep direct democratic involvement seen in Egypt’s Tahrir Square which led to the overthrow of Hosni Mubarak. Furthermore, decades of international research has shown, via the World Values Survey, that the more people manage to have their basic needs met, the more interested they become in actively self-governing themselves. If one takes Barber’s framework seriously, one can look at America’s pre-9/11 involvement in the Middle East as a classic example of how McWorld and Jihad collaborate: oil out and guns in for the Saudis and other “pro-West” governments constituted the main thrust on the McWorld side, along with increasing levels of Western-style consumer affluence for those on top. Support for fundamentalist institutions at home and abroad largely bought off the criticism this would otherwise have brought on. The calculus varied somewhat elsewhere – such as Egypt – but the dynamic was similar: the wages of McWorld were used to buy-off and redirect anger of Jihad, which in turn was then used to justify still more of the hard-nosed military side of what McWorld had to offer. Things were more complicated on the Israeli side of things, but similar dynamics were involved in terms of how McWorld’s consumerism and techno-rationalism and Jihad’s tribal-religious passions fed off each other, each pretending to be each other’s opposite, while collaborating together to stalemate any functional democratic process that could substantially improve people’s lives and move towards a just, peaceful and fear-free future. The 9/11 attacks brought all these contradictions out into the open. But they also drew out so much fear, astonishment and anger in America that contemplating contradictions – much less resolving them – was the last thing on most American’s minds. The fact that Bush took Osama’s bait, elevating a blood-drenched killer of innocents to the status of “holy warrior”, may have been just what Osama wanted. But playing into Osama’s illusions helped Bush promote his own “holy warrior” illusions as well, heightening the synergy of Jihad and McWorld within the Republican coalition. If only Iraq had not turned out to be such a disaster, Bush really might have established a prolonged period of Republican rule, as “Bush’s brain”, Karl Rove, had dreamed of doing. Instead, Bush became deeply unpopular, and Barack Obama sailed into the White House backed by an incredibly hopeful electoral movement expecting dramatic democratic renewal – a rebuilding of the elements of strong democracy Barber has written about, which had eroded for decades before Bush took a battering ram to them. Thus, the very model of how democracy is supposed to work is systematically being dismantled in America, the birthplace of modern democracy. As Obama sells out his base in ever more sweeping ways at every turn, he relies on their fear of much worse to support him anyway. And what does the GOP have to oppose him? Rick Perry, with the aid of the NAR post-fundamentalists, or so it would seem. Investigative reporter Forrest Wilder of the Texas Observer, recently published an extensive article on Perry’s August 6 prayer event and his endorsers, “Rick Perry’s Army of God.” I spoke with Wilder at some length, and our discussion also encompassed the prolonged drought that Texas is experiencing, with virtually no policy response, except of course, for Perry having issued yet another call for prayer – this time for rain. Although Perry – along with the preachers behind him – tries to spin this as typically American, and a return to an earlier, more overtly religious attitude among presidents and other political leaders, the lack of any sort of rational planning, or pragmatic foundation is actually profoundly at odds with our real American heritage, which is much more along the pragmatic, activist lines that “God helps those who help themselves”. What’s more, the hollow helplessness at its core is the exact opposite of the NAR’s self-promotion as an organisation of prophets and apostles so powerful that God himself can’t get the job done without them. In contrast to these pseudo-religious shenanigans, Lincoln’s second inaugural address is a deeply religious meditation on the meaning and significance of the Civil War, arguably the most terrible tribulation America has ever faced as a nation. It was a masterful blend of both mythos and logos, addressing both, confusing neither. On the one hand, Lincoln saw it as beyond human power to say what the war’s outcome would be. 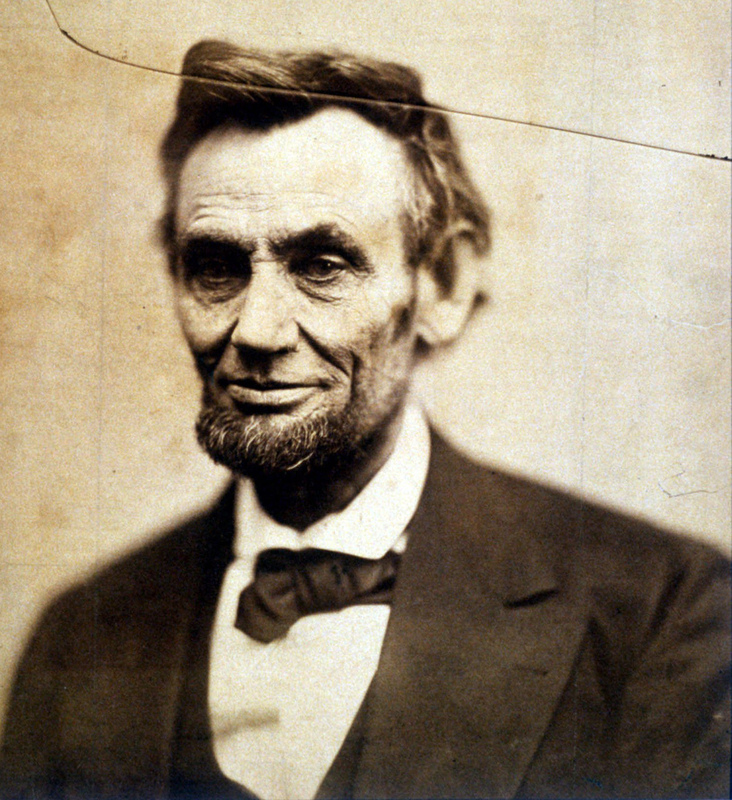 Lincoln’s words reveal what it means to be a secular leader with a profound religious sense of moral and spiritual accountability, conscious of the requirements that mythos and logos each demand. His words tower over America today, which seems utterly incapable of even recognising what it has lost – much less figuring out how to regain it. If America is to be saved, it will be in no small part because the people of other lands, such as Egypt, have learned lessons from America that America herself has forgotten. Seeing them put America’s lessons to work in their countries – perhaps, just perhaps, Americans can relearn what we’ve forgotten. And in the words of Langston Hughes, let America be America again.